Dream Big Little One. 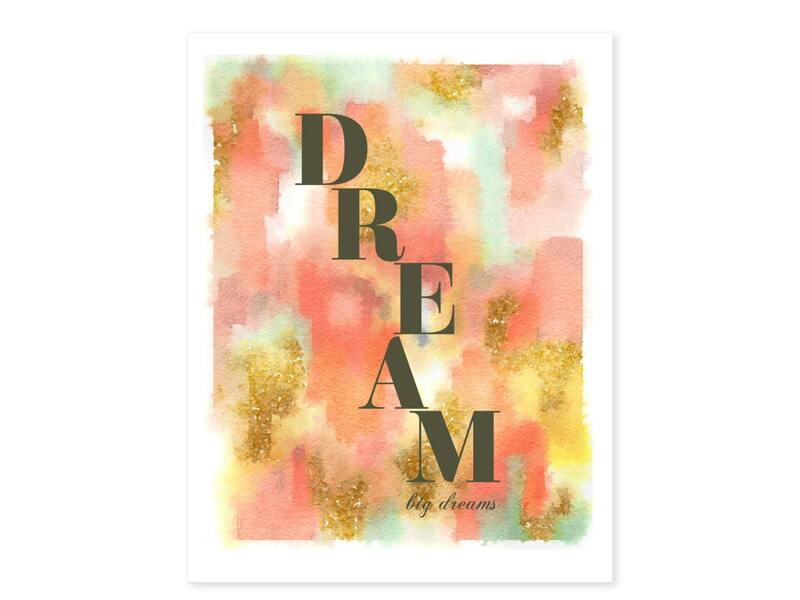 This watercolor nursery art includes warm gray text laid over a pink, coral and matte gold watercolor. This is a gift for my niece who is starting college. 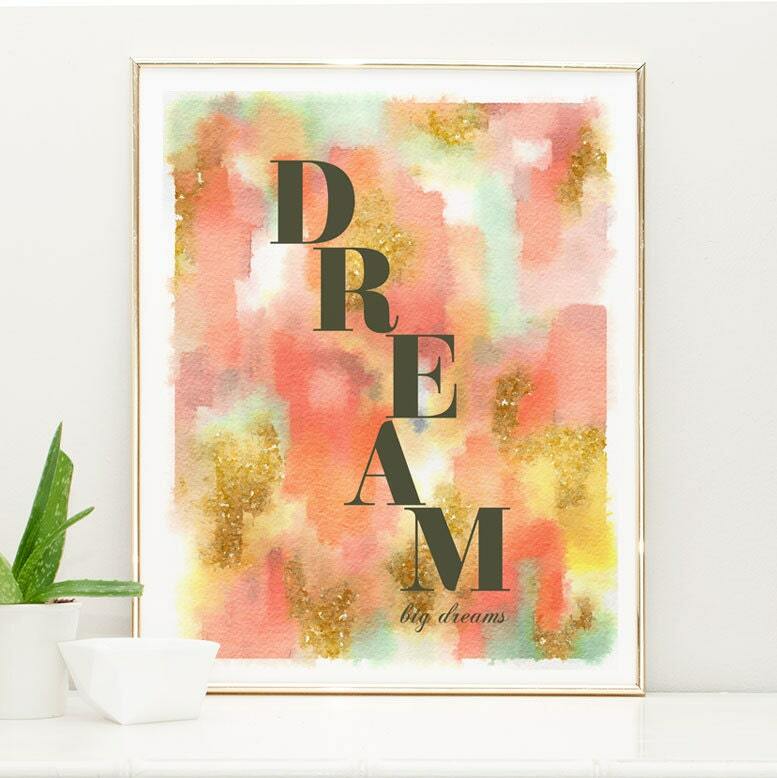 Very girly and a great piece for a dorm room. Beautiful print! Exactly as i was expecting and will look great in baby girls nursery!